GMC has announced the Middle East arrival of the 2019 Yukon full-size SUVs featuring enhanced cargo capability thanks to its available power-folding second- and third-row seats that can be folded flat. 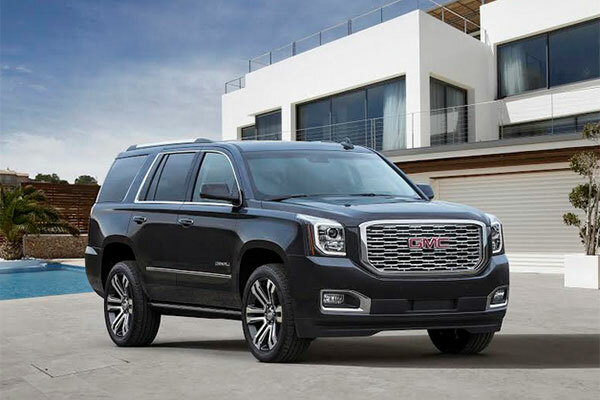 Available in Yukon, Yukon XL, Yukon Denali and Yukon XL Denali models, the 2019 premium SUV features bold exterior styling, a precision-crafted interior and more standard features. The Yukon’s distinctive Denali models provide an exclusive collection of design, performance and upscale interior amenities. Yukon SLE and SLT models are powered by advanced EcoTec3 engines, with direct injection and Active Fuel Management that deliver more horsepower and torque with one of the segment’s best V-8 fuel economy. EPA-estimated highway fuel economy is 10.4L/100km with the standard 5.3L engine (2WD models). Yukon Denali’s exclusive 6.2L engine delivers 420 horsepower and 624 Nm of torque. It is matched to a ten-speed automatic transmission that further enhances efficiency and refinement. Yukon and Yukon XL share design and powertrain elements. The Yukon XL wheelbase is 356 mm longer (508 mm longer overall) for greater third-row legroom and more than double the cargo room behind the third-row seat. Additionally, phone integration technology enhances connectivity and promotes safer driving through Yukon’s next generation IntelliLink system. The technology allows smartphone users to connect with applications such as navigation, hands-free text messaging, and entertainment through the IntelliLink display screen.